Better Llanishen Leisure Centre is pleased to announce that it is now equipped with Shapemaster toning tables and chairs. 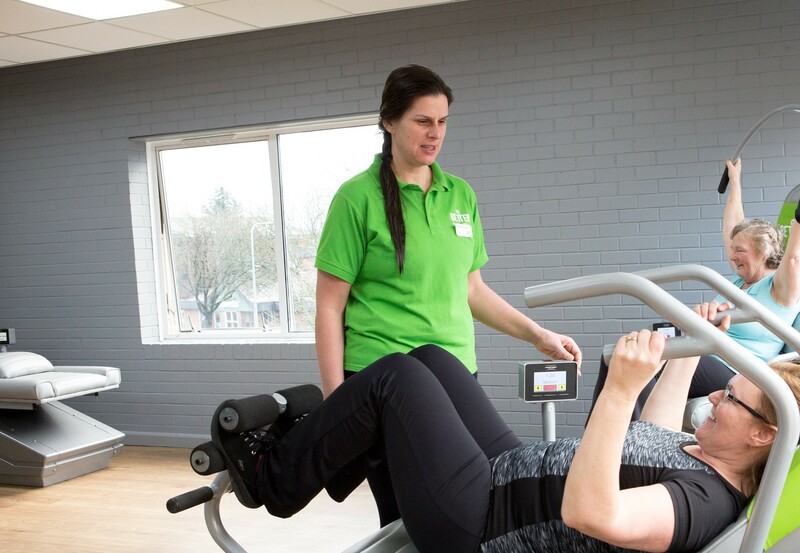 Unlike conventional exercise equipment, Shapemaster’s range of exercise equipment does not rely exclusively on muscle power but by an electronic power system enabling you to work passively or actively, depending on your ability. As you do not have to provide the motion force, you do not have to overcome inertia in order to use the equipment making it the perfect choice for anyone coming back to exercise after periods of rest or inactivity. This includes the elderly or those with mobility issues. The 12 pieces of toning equipment available are Bums and Tums, Fly and Thighs, Hipster, Posture Pullover, Tummy Crunch, Waist Away, Ab Pullover, Chest and Legs, Cross Cycle, Seated Climber, Side Bend Stepper, Tricep Dip and Leg Curl. The equipment can also be used to manage and rehabilitate those living with conditions such as MS, Fibromyalgia and post stroke. Pop into the centre to take a look around and discuss the fantastic membership options available.